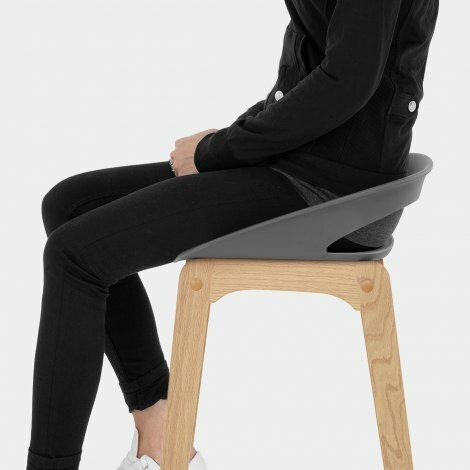 The Crew Wooden Bar Stool Grey is a funky model with Scandinavian style influences. Combining contrasting materials with great success, the Crew will deliver a hint of modern finesse to your bar area and is destined to impress your guests. Sculpted from matt grey resin, the seat offers the benefits of a low backrest whilst occupying less visual space. This is due to the cut out detail in the seat that adds style and a practical handle. A strong design with a light wood finish, the solid wooden frame is a modern take on a classic four-legged piece. At kitchen counter height, it also has strengthening bracing bars and a footrest for extra support when seated.